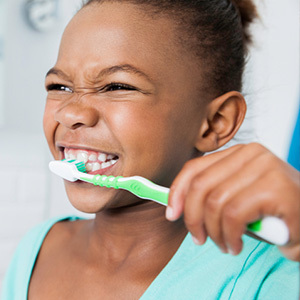 Oral hygiene is the practice of keeping the teeth, gums, and mouth clean and healthy. 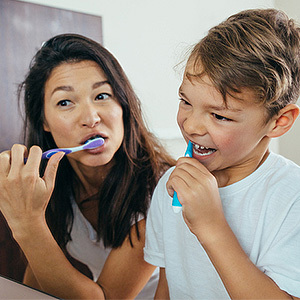 It's important for people to follow an oral health regimen at home between visits to the dentist. Dr. Moutaz Abdeen at Alexandria Smiles Dentistry in Alexandria, VA, offers a full range of dental services. Here are some reasons why good oral hygiene is important. Bad breath, also called halitosis, is characterized by an unpleasant odor of the mouth. Bad breath can be caused by poor oral hygiene habits, dry mouth, gum disease, tobacco use, and medical conditions. Maintaining good oral hygiene is essential to preventing bad breath, as bacteria that builds up in your mouth is the main culprit. Cavities are decayed areas of your teeth that develop into tiny holes. Causes of cavities include bacteria, poor oral hygiene, sipping sugary drinks, and snacking. You can prevent cavities by brushing twice a day, flossing regularly, rinsing with mouth rinses, and seeing your dentist regularly. Good dental hygiene can help prevent periodontal disease, also known as gum disease. Gum disease is an infection of the structures around the teeth. If not properly treated, gum disease can lead to tooth loss due to the destruction of the tissue that surrounds your teeth. Regular visits to the dentist for check-ups and dental cleanings and proper brushing and flossing go a long way toward keeping gum disease at bay. Poor oral hygiene and dietary habits can lead to tooth loss. Drinking sugary beverages and eating sugary snacks can lead to tooth loss because sugar contributes to tooth decay. You can prevent tooth loss by brushing and flossing regularly, avoiding tobacco, limiting your sugar intake and seeing your dentist regularly. We can help you maintain a healthy smile. Call Alexandria Smiles Dentistry at 703-671-0626 today to schedule a dental appointment in Alexandria, VA. You're on your way to a healthy smile!